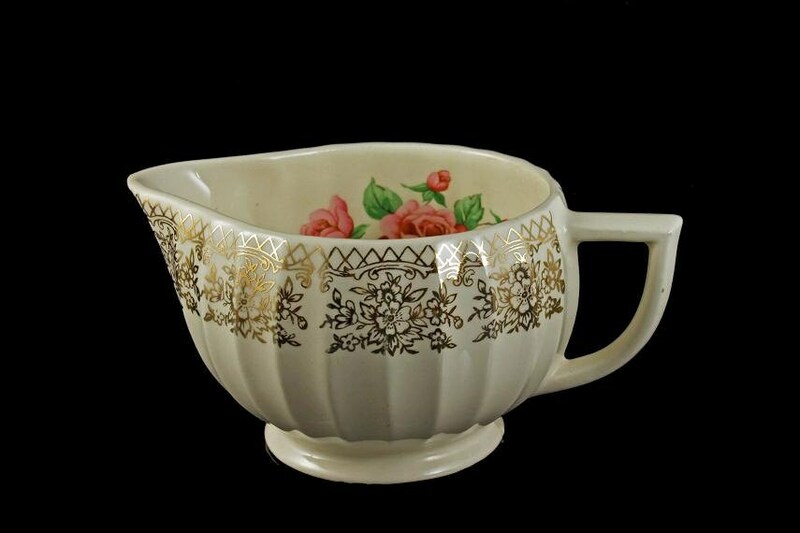 A charming creamer by Sebring Pottery in the China Bouquet pattern. 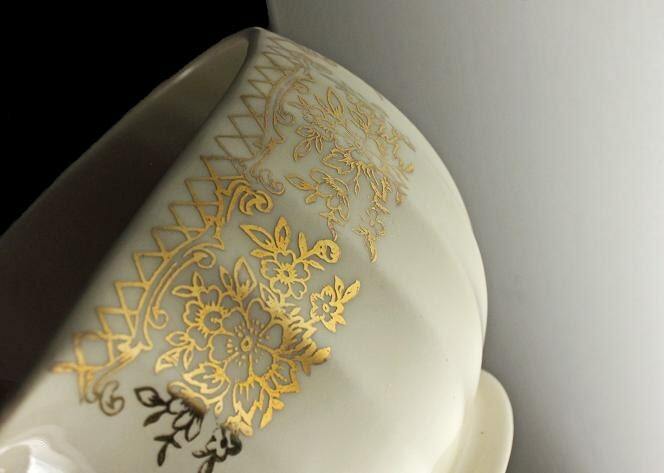 The pattern consists of pink roses inside of the creamer and gold filigree trim on the outside. This would make a grand statement on any dining table, sideboard, or buffet table. 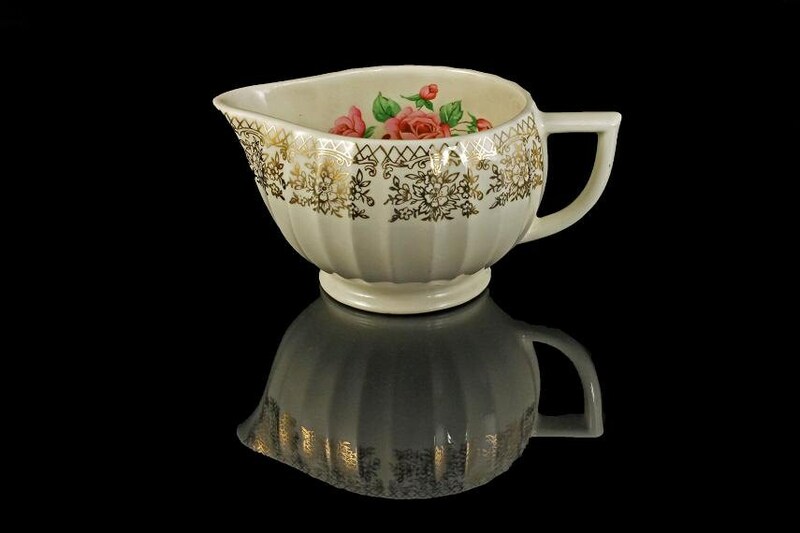 This is elegant and classy with the grace from a bygone age. 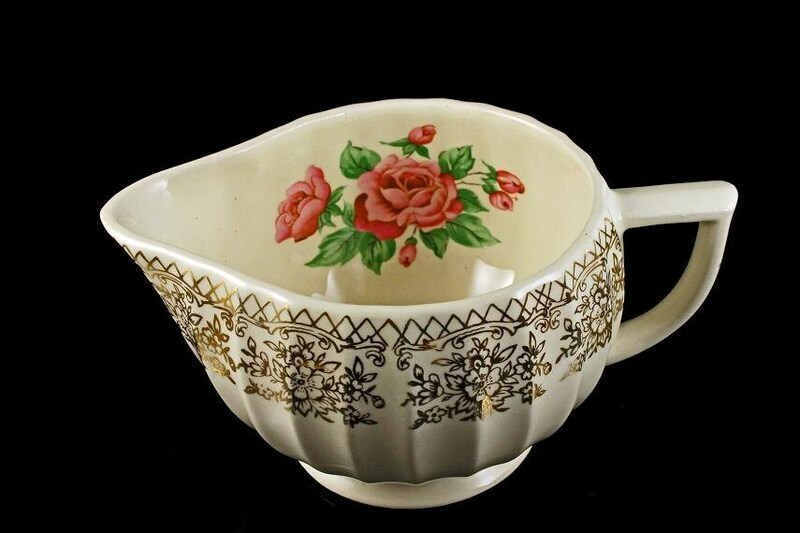 This is a vintage item and is in very good condition. There are no cracks. 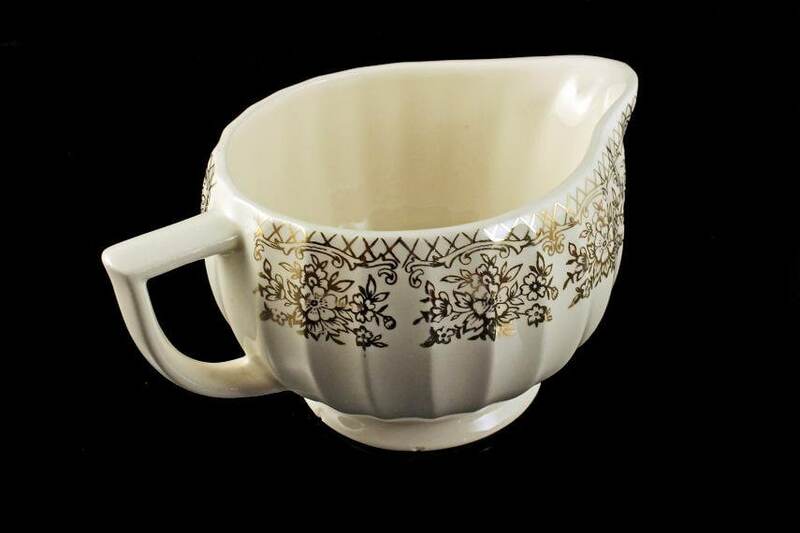 The creamer does show some wear and there is one small craze mark on the bottom and a tiny chip in the foot. Considering its age, this is to be expected.